When the bait is eaten by a cat or dog, metaldehyde affects the nervous system resulting in, amongst other things, uncontrollable muscle tremors (which are often mistaken for seizures). This excessive muscle activity can dangerously increase body temperature and will also lead to muscle cell death. When these muscle cells die, their release of myoglobin often shows up as dark urine and can lead to kidney failure. 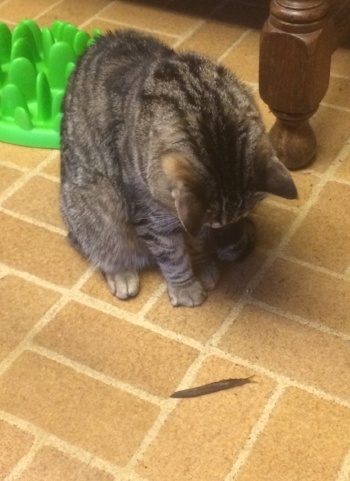 Because many of these poison baits are flavored with molasses to attract snails and slugs, cats and (especially) dogs are often attracted to them and eat them when given the chance. 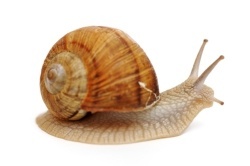 Any pet that has eaten a metaldehyde-based slug and snail poison should be brought for immediate veterinary evaluation, as time is truly of the essence when dealing with these poisonings. A “wait and see” approach is definitely not a good one, as the severity of the poisoning, the prognosis, and the costs all get worse as time passes. 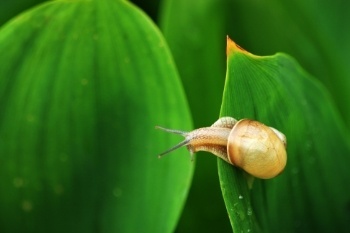 As far as we know eating (one snail or slug) isn't cause for concern but if the snail had just consumed bait before being eaten, it could be a concern. 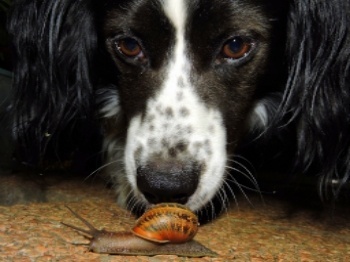 Typically, though, dogs and cats aren't interested in eating snails or slugs. 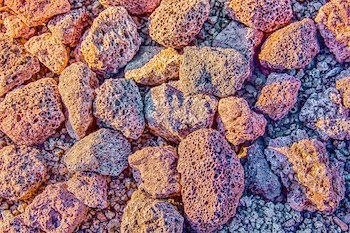 Surround your plants with a layer of broken shells, diatomaceous earth, lava rock or another “rough” material. These surfaces will deter slugs and snails, and will fatally injure those who decide to make the trek.